It's not too late to get your flu shot this season, and Cindy Weston, DNP, RN, FNP-BC, an assistant professor at the Texas A&M College of Nursing, breaks down what you need to know. Mary Leigh Meyer: Howdy, this is Mary Leigh Meyer. Sam Craft: And I’m her co-host, Sam Craft. 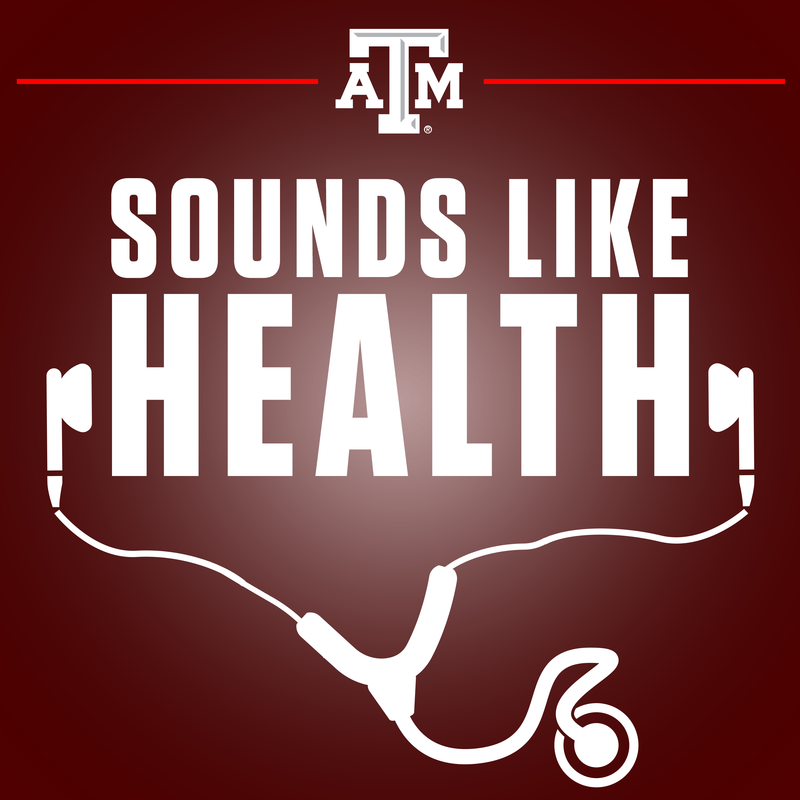 Mary Leigh Meyer: And welcome to Sounds Like Health. We are here with the wonderful, Dr. Cindy Weston. Not only is she a family nurse practitioner, but she’s also an assistant professor and the associate dean for Political and Outreach Affairs at the Texas A&M College of Nursing. She’s going to speak with us today about the flu. Welcome. Cindy Weston: Thank you. I’m glad to be here. Sam Craft: We’re very happy to have you. Thanks for taking time out to come and see us. Cindy Weston: It’s my pleasure. I’m always willing to talk about a topic that has to do with health and promoting health. Mary Leigh Meyer: Is it too late to do this podcast? Are we still in primetime flu season? Cindy Weston: Yes, actually flu season has not fully hit our area yet. We’re seeing a few sporadic cases, but the big season is still yet to come. So it’s still a great topic. Sam Craft: How long is the flu season, I guess? I’m doing air quotes. But I’ve always heard it’s October to March. Is that the main time? Can you get flu in the summer? Cause it’s a disease that’s floating around, right? Mary Leigh Meyer: I always think it’s a winter. Sam Craft: Is it, it’s like a cold thing? Cindy Weston: Yeah, everybody’s right. The peak season is October to March, if you look at Texas data and really U.S. data. We usually peak right around the Christmas holiday season. Sometimes we’ll peak again around spring break, but you can get flu all year long. And in fact, we typically see cases in the summer, a few cases. It seems like it’s more influenza B that we see in the summer. And it’s influenza A predominantly in the winter. But we see both really all year long. They just become more epidemic during that October to March time frame. Sam Craft: Is that because people are coughing and sharing germs more or because it’s cold and their getting colds? Why do you think that it’s more winter based than it is summer based? Cindy Weston: Seasonal patterns. It seems to start in the east, the new flu strand viruses and they move from east to west. They typically will hit in our winter with new mutations of the virus. So that’s why our season seems to peak in the winter, October to March time frame. The northern hemisphere, you know that’s our winter. The southern hemisphere will experience that usually in the months that is typically our summer. Mary Leigh Meyer: So, when is the ideal time for the flu shot? Cindy Weston: As soon as it’s available (everyone laughing) is really when you should get it. It’s going to take two weeks to become fully effective and to have the antibodies. And it’s going to last for about six months. So knowing that we often times peak again in March, October in our area is generally the recommended month to get the vaccine. But you should get it at any time that it’s available. Sam Craft: How do you know, you talk about strands of the flu, how do you know that this flu shot will protect me against this strand? Someone who is not medically based, like myself, I don’t understand the different strands. Is there a different strand every year? How does that work in the disease world? Cindy Weston: Yeah, that’s a great question. The flu, you’ll hear this said. The only thing predictable about influenza is that it is unpredictable. (laughing) It continues to mutate, and it changes. It’s a virus that continues to evolve. They base our current vaccine for our season. The decision is made around January of the year knowing that the flu season is not going to come, or the vaccine’s not going to be available until September. Sam Craft: I don’t want to say they are just guessing, but I know there’s a lot of science research behind that. But it’s just kind of like a 50/50 shot? Or it’s still effective, just not as much as if it was per strand? Is that how it works? Cindy Weston: (laughs) So they look at the pattern that are happening in the east. So really the eastern countries, Asia, Australia. And then make predictions on what the patterns are gonna be for our current flu season. And then our group makes that decision around January for that vaccine to go into production in the spring and summer. So that we have it available to start administering September, October for our flu season. Mary Leigh Meyer: So it is a prediction? Is that why sometimes you can get the flu shot, but still get the flu? Sam Craft: It happened to me. I was very anti-flu-shot for a long time. And then one time I got the flu and I swore never again would I have another flu shot. I’m sorry, I wouldn’t go a year without a flu shot. And I’ve always heard, obviously you can still get the flu, it’s not as bad. Is that how it works? Cindy Weston: That’s exactly right. So even if it didn’t cover the exact strand. So what saw from last year. Last year was a bad season, 2017. Mary Leigh Meyer: Oh yeah. Sam Craft: Yeah, it was awful. Cindy Weston: And we knew that 2017 was gonna be a bad season based off of what was happening in Australia of that year. Australia was having a terrible season, so we were raising the alarm in August. And saying we really need to be vigilant this flu season it looks bad based off of what’s happening there. What happened was, if you recall that, that vaccine did not appear very effective against the strand that actually made it, the influenza A strand. And it was H2N3. And looking at that pattern of the H2N3 that the vaccine covered, and the strand that actually was circulating in our communities, the vaccine for this year 2018 has been adjusted to match what we saw last season. So the vaccine changes every year to match what the strand looks like. Sam Craft: That’s a little bizarre. Yeah, I just wonder do people realize that’s what’s happening with it. Cindy Weston: But that’s a good point that you said, that even if the vaccine doesn’t cover the exact strand, if you do catch to flu and you receive the flu vaccine it is a milder case. And we did see that. That people who were vaccinated had a much milder case than those who received no vaccine at all. It was a bad season. I saw people running a fever of 103 on day nine into the virus. It was bad. Sam Craft: Well then there was a lot of flu deaths last year too. Sam Craft: And I guess I really don’t know the numbers on how many get the flu shot, and Lord forbid, die afterwards from the flu. I know it’s a real thing but is there a number to compare from those who don’t and do get the flu shot? I was just curious. Mary Leigh Meyer: But isn’t normally either already ill people or vulnerable people that typically die from the flu? Cindy Weston: Yeah, so that’s a really good point, Mary Leigh. Cindy Weston: It’s the very young, the very old and pregnant women are who die from influenza. Sam Craft: Flu is called influenza? Sam Craft: That’s the tail end of it? Mary Leigh Meyer: Oh. I did not know that. Sam Craft: I didn’t either. That’s why I asked. Sam Craft: It makes sense, influenza. Flu that’s where it comes from. Mary Leigh Meyer: It’s one of those things that makes perfect sense. Sam Craft: Again, when we were just sitting here talking about it, it just clicked right then and I heard it. And I was like, wait a minute. Let’s ask about this. Sam Craft: What is the technical term for influenza or the flu? What differentiates it from a cold and the flu? I mean cause I’ve had both, I know a cold. And the flu is like devastating. You’re achy. Mary Leigh Meyer: They have similar symptoms too. Everyone always walks into work and say, “oh I just had the flu, they were gone–a day or two.” (laughing) It’s probably not the flu. Maybe you should go home just in case. So how do you know that you have the flu? How do you know that it’s not just gonna go away over the weekend? Cindy Weston: Usually there’s some distinctions and there’s a lot of similarities. The distinctions are influenza, true flu will hit you like a ton of bricks. It’s a sudden onset. I was feeling good at lunch. At 2 o’clock this afternoon I feel like I got run over by a train. Sam Craft: It is so true. It is just that fast too. Cindy Weston: And high fevers. Which you can run fever with a cold, and we’ve had a pretty bad just cold virus in our community recently. I’ve been seeing people with 102 fever. Cindy Weston: So you can run high fevers with a cold, but a cold will generally come a little gradually. Like you feel tired and achy one day, you have a little bit of a runny nose, you have a sore throat the next day. The next day you develop a cough. With the flu it’s like sudden onset and you have a fever. You ache all over. You have a sore throat. You have a cough. You have all this mucus. In fact, influenza is an orthomyxovirus. And ortho means straight and myxo means mucus. It’s straight, mucus virus, literally. Sam Craft: So ah when you say it like that. Mary Leigh Meyer: Oh gross. Cindy Weston: And it causes an overwhelming response for some reason with the immune system. And that’s what the deaths are attributed to a condition that’s called a cytokine storm. It’s like the immune system goes into overdrive. If your house was getting broken into you would want the police to show up. But you wouldn’t want em to necessary send the swat team, who would surround your house and blast it with all the guns knocking down the walls. You just want some support. And that’s kind of a cytokine storm. It’s like an overreaction to the threat that is there. And that’s often times what leads to death. Sam Craft: So your immune system is actually killing you in that instance? Cindy Weston: Well, it deregulates, that virus deregulates it. Sam Craft: Okay, so it just throws everything off? That’s what it is? Cindy Weston: Yeah, yeah, exactly. Sam Craft: Okay. It just throws everything off and it’s downhill from there. Mary Leigh Meyer: So what do you do when you get hit by the train? Cindy Weston: Yeah, so the key thing is to seek medical attention quickly. Because there is the option for anti-viral treatment, but it should be started within 48 hours of the onset of symptoms. And there’s several treatment options available. They have some side effects, so it should be something that you talk to your healthcare provider about and see if it’s an appropriate choice for you. Certainly, the studies have shown, and a lot of good data came out of the most recent pandemic, which was the 2009 H1N1 pandemic that we saw, the flu. That data showed that people who had received anti-viral therapy had lower mortalities and less severities. So we know that it did save lives during that time. So it’s an option, but it should be started early. Mary Leigh Meyer: But that treatment isn’t a cure, right? Sam Craft: It’s like putting cough drops to a cold or something like that? Cindy Weston: It’s a little bit more than that. So we know it shortens the duration of the flu. And the hope is that it obviously lowers mortality and it lessens the severity. Sam Craft: How many people die from the flu on average a year? Cindy Weston: Up to 56,000 in the US alone. Cindy Weston: In the US alone. Mary Leigh Meyer: I thought you were just going to say up to 56. Cindy Weston: Yeah, or 5600 maybe. Sam Craft: Worldwide, do you know those numbers? Cindy Weston: Like up to 300,000 worldwide. Sam Craft: Oh my God. Cindy Weston: 250,000 to 300,000 worldwide. Mary Leigh Meyer: Is there a test for the flu? Cindy Weston: Yeah. So there’s different PCR tests, there’s some rapid tests that can tell you if you have influenza. They can even break it down, influenza A versus influenza B. Influenza A seems to be the more virulent strands, but both are serious. Sam Craft: Is there a different treatment for either one, or is it the same treatment either way? Cindy Weston: The current medications that are recommended cover both strands. There are some older pharmacological agents that only covered influenza A. So when you look at the flu virus, you know the electron microscope, it has these neuraminidase receptors and hemagglutinin receptors. So that’s the H is the number of hemagglutinin, and the N is the number of neuraminidase receptors. So they’re a neuraminidase inhibitor. So what they do is, the neuraminidase is how the virus sort of transmits out of the cell. So viruses go into a cell and they basically turn your cells into virus factories. And it replicates and replicates and replicates and just takes over. So that shuts down the process the process of that virus being able to transfer a neuraminidase inhibitor. Sam Craft: Some of the stuff that’s available from the stores? Cindy Weston: It’s a prescription. Cindy Weston: Or a nurse practitioner. Sam Craft: Yes, I’m sorry. Cindy Weston: Yes, you’re correct. Sam Craft: Anybody like that could prescribe that to you or get you on the right track for that? Mary Leigh Meyer: Are there any over-the-counter medications or any symptom-management type of things we can get? Sam Craft: Elderberry syrup? Wait what is elderberry syrup? Mary Leigh Meyer: It sounds like it’ll go in a potion. Sam Craft: Right. (laughing) Or like pancakes. That sounds amazing. Cindy Weston: Elderberry syrup can actually treat the flu and actually, potentially prevent influenza. Last year you couldn’t find elberberries. You couldn’t find elderberry syrup during the peak of the flu outbreak. Sam Craft: And you said an interesting thing there, systematic management? Cindy Weston: Symptomatic, yeah symptomatic. Sam Craft: Say you have the flu, like you know you have the flu, what do you do? At that point how do you treat yourself? You got the meds from the doctor, okay. Now is that the only course you have, or from an FNP is there anything in your history that you’ve seen? I don’t wanna call em urban legends or myths or whatever. But is there is there anything that you know that works outside of medication, that you can do to help yourself? Cindy Weston: Yeah, fluids. Fluids are key. Usually you don’t feel like eating when you have the flu, but you almost have to think of fluids as medication. You’ve got to stay well-hydrated. Water, diluted Gatorade, clear sodas. But stay well-hydrated during the time that your battling influenza. Fever management with Tylenol or Ibuprofen in appropriate doses. Almost scheduling that. That’ll help you feel a little bit better. It’ll manage that temperature. Over-the-counter medications like decongestants, if their appropriate. Mucolytics like guaifenesin. Nasal steroids can help open up and decrease the risk of a secondary sinusitis related to influenza. The nasal saline rinses for all that mucus. Sam Craft: Do you ever see, I’m sure this does happen, do you ever see flu advance to other things like pneumonia? Can the flu jump like that? Sam Craft: Your immune system is so weak already during the flu. What’s the most common thing it could transfer into? Cindy Weston: You hit the nail on the head, Sam. That’s it, is pneumonia. It can go into respiratory distress syndrome. It can lead to other infections, sinusitis. And often times, it’s the pneumonia or the overwhelming infections. It can lead to multi-organ system dysfunction. Those are the things that usually people die from. And often times those things are a complication of that cytokine storm. Sam Craft: So scary it starts off with a cold. Mary Leigh Meyer: Well, not-a-cold starts off as the flu. Sam Craft: Fair enough, fair enough. Mary Leigh Meyer: I’m gonna recommend a podcast for you to listen to. Sam Craft: No I mean that’s a good point too you brought up. Have you ever had the flu? Mary Leigh Meyer: I don’t know if I have actually. Sam Craft: Oh bless you. Be so happy. Mary Leigh Meyer: I haven’t gotten my flu shot yet. Cindy Weston: We need to get one for you Mary Leigh. Sam Craft: You will after this. Mary Leigh Meyer: I know. I was joking about getting it live on-the-air. Sam Craft: How awesome would that be? Sam Craft: What are you scared of it? No, I guess that’s one of our points here. Why are you scared of the flu shot? Mary Leigh Meyer: The build up. I know it’s gonna hurt. I know I have to sit down in the cold chair. It’s that cold alcohol (laughing). And they have to clean off my really big bicep, and it’s gonna be sore after. Sam Craft: That’s a great point. Why is your arm sore after you get the flu shot? I’ve always heard, well cause you’re getting injected with a virus. And you are. Mary Leigh Meyer: I heard it’s because you tense up. Sam Craft: No, no, is that what it is? Cindy Weston: I think it could a variety of reasons. Sam Craft: So there’s not like an actual medical thing? I’ve always heard it’s the virus entering your body and that’s what makes your arm sore. And I always thought that was kind of cheesy. Is there a medical explanation for that? Cindy Weston: (laughing) I don’t think that would be the medical explanation for it. Sam Craft: Their gonna think she’s like, this guy’s crazy. Sam Craft: I don’t know what’s he talking about. Cindy Weston: Some things that could lessen, or to help, if you’re real worried about the soreness is, and we do this with children (laughing) is put some ice. Mary Leigh Meyer: That’s how you need to treat me. Mary Leigh Meyer: I need to be a child. Cindy Weston: You can put ice over the sight for a few minutes ahead of time and it really does help to numb it a little bit. Sam Craft: It numbs it, yeah, there you go. Cindy Weston: It works with children. There’s these cute little devices that are ice packs and they actually kind of vibrate. And we use them like right before the injection and it really helps. Mary Leigh Meyer: I might actually look into that. Mary Leigh Meyer: If you know my parents, or even my pediatrician growing up, I’m pretty sure there was like a star by my name. Sam Craft: You were the asterisk kid? Mary Leigh Meyer: I was the kid. They started to, there was one moment I was way too old, but then they started to give me any vaccines in the back. Like way, like not even in a room. Cindy Weston: So you wouldn’t frighten the other children. Mary Leigh Meyer: It was like in a far, back hallway. It was like in a storage closet they took me. Sam Craft: You were the crazy kid? You were the kid that was being murdered in the back room? Mary Leigh Meyer: Yes. I think at one point I was like, “they need to know!” The kids need to know what they gonna get into! Sam Craft: You know for me. The needle doesn’t bother me. The poke doesn’t bother me. The stabbing motion is what bothers me. Mary Leigh Meyer: It is the whole experience. Mary Leigh Meyer: So Sam has a young kid. Sam Craft: Yes, a three-year-old. Sam Craft: Who has not had his flu shot yet. Mary Leigh Meyer: We should go together. Sam Craft: So speaking of small children. Archer, his name’s Archer. He’s three. When he was really small, I say a year, maybe less or two years. What’s the earliest a child can get a flu shot? A flu shot meaning, I think we did the spray. Is that what it was? What are the options for a small child? Cindy Weston: Yeah, so great question. Your first question was what age. It should start at six months of age. Sam Craft: Six months wow? Cindy Weston: Six months. Six months up till any age should have the influenza vaccine. The very first time that they ever receive the vaccine, they should receive a second dose a month later. Sam Craft: Yes and we did that. Can you explain that process? I didn’t understand it exactly. Cindy Weston: It’s a boost to the immune system. Cindy Weston: Now after that first time, where they have the first dose and one month later the second dose. Every year after that just one vaccine. Now it was taken off the market for a couple years, but it’s back this year, is the nasal spray, which is a live virus. Now the injection is an inactivated virus, it’s not live. It’s really just those components of that H and that N to boost the immune system to attack the virus. But the influenza nasal spray is live and that can only be given from ages two up to 49. Sam Craft: Really? That’s still a pretty good range though. Sam Craft: Dumb question. The live virus—can someone catch the flu from this? Really? Cindy Weston: So a mild case of influenza. So it’s not recommended to use the live virus for pregnant women or for anyone that’s in a home with someone who’s immunosuppressed. Someone immunosuppressed should not receive the live virus, or if their living in a home with someone who’s immunosuppressed. Mary Leigh Meyer: So it kind of like how you try to get the chicken pox when you can manage it? Mary Leigh Meyer: So I’ll try to get the baby flu now. Cindy Weston: And boost the immune system. So similar. And for children that are really afraid of needles, it’s an option. It was actually not recommended for two years because it was not shown to have the same efficacy as the injectable vaccine. So it was not given. And I think decision was to bring it back on the market because there are some people who are within that age range that just were not going to get the vaccine at all, get vaccinated at all without the option of the live virus. So better something than nothing. Mary Leigh Meyer: I heard it was recommended for Mary Leigh’s. Sam Craft: Seriously, get your flu shot. Mary Leigh Meyer: No I will, I will. Mary Leigh Meyer: I’ve been meaning to for the past three months. Mary Leigh Meyer: I’ve been busy with washing my hair. I know, I know. Cindy Weston: Time gets away from you. Sam Craft: You can go to, I think, all the local pharmacies have them. Is that right? Mary Leigh Meyer: Well there was a period of time where I was without insurance. But so the flu shot is covered on normal insurances? Cause we’ll pretend that’s why I was waiting. Cindy Weston: So the Health Department has a flu vaccine. There’s a lot of clinics that will have free flu vaccine days. So just exploring the resources in your community, and looking around. And it’s really affordable. When you look at the protection that’s extended, by not just vaccinating yourself, but it protects all the people around you. The only way that infants less than six months of age are protected is to have people around them vaccinated. So you’re not just doing it for you, you’re doing it for everybody around. Mary Leigh Meyer: Say Sam walks into work, just looking terrible. And say it’s just not like his regular Monday, but he actually might possibly have the flu. Other than telling him to go home or go see a doctor, what do I do? My office is right next door and I don’t want the flu. Cindy Weston: First of all, you said the right thing: send Sam home, or to his healthcare provider. Cindy Weston: But for you, obviously you want to have good hand washing. Even the person with influenza should have good hand washing. So you wanna wash your hands. You wanna avoid touching your eyes, or your nose, your mouth. Wiping down surfaces with a diluted bleach water, like a one to ten ratio is enough to help prevent the spread of the virus. Sam Craft: Is flu airborne? Cindy Weston: It is. So it is considered droplet. So droplet is suspended in air in about a three-foot radius of the person, as well as when it drops it hits the surface and it will stay on that surface alive for awhile. Cindy Weston: Yeah, yeah. So coughing, laughing, sneezing. Sam Craft: Well we did this sneezing video here at the HSC a while back. Even when somebody covered their arms, their sneeze spray, as gross as it sounds was still five to six feet. That’s incredible. Mary Leigh Meyer: Just thinking of children and schools. The desks are so close together. Sam Craft: Schools are just germ pools. Mary Leigh Meyer: They really are. Sam Craft: Kid germs, that’s something else we can talk about another time, because man their mutants. That’s what they are. They’re awful. Cindy Weston: They are just building their immune systems (laughs). Sam Craft: No it’s like my kid gets sick and he comes home with a virus. And he just like (breathe blowing) and then I get it and I’m sick for like two weeks. Mary Leigh Meyer: So just to recap, what kind of vaccines are out there? Cindy Weston: So there’s the traditional quadrivalent influenza vaccine. It covers two strands of A and two strands of B. All of the vaccines actually this year are quadrivalent, and cover two A’s and two B’s. For patients that age 65 and older, there’s a high-dose vaccine that’s recommended for the older adults and Medicare covers it. It is more effective for those who are older because of their immune systems. So that’s recommended for that age range. For many years people thought if they had an egg allergy they could not get the flu vaccine. But there is a vaccine that is not grown in egg median. It’s recombinant influenza vaccine. Those that’s available to those with egg allergy. Mary Leigh Meyer: Okay. Well I think we’ve pretty much talked about everything. Sam Craft: Yeah, this has been super interesting. We really appreciate the time. Mary Leigh Meyer: Thank you for coming over. Cindy Weston: It’s an important topic and I really appreciate the fact that you’re covering it. Sam Craft: Sure. I think it’s the biggest health crisis every year that’s recurring, with the exception of the bigger ones on topic. But I think it’s serious and people die from it every year. Sam Craft: 56,000 people. That’s terrifying. Cindy Weston: Yeah, and it can be prevented. It’s preventable deaths with vaccination. There are some people in our communities that absolutely cannot be vaccinated. And so by everyone else getting vaccinated, it helps protect them. Mary Leigh Meyer: Okay I guess I’ll get mine. Cindy Weston: Thanks Mary Leigh (laughs). Sam Craft: Hey, thank you Dr. Weston for being here.